If you want an example of how premium American muscle is currently offering good value when compared to the local equivalent, this is a great one. Mustangs don’t get a whole lot better than this. 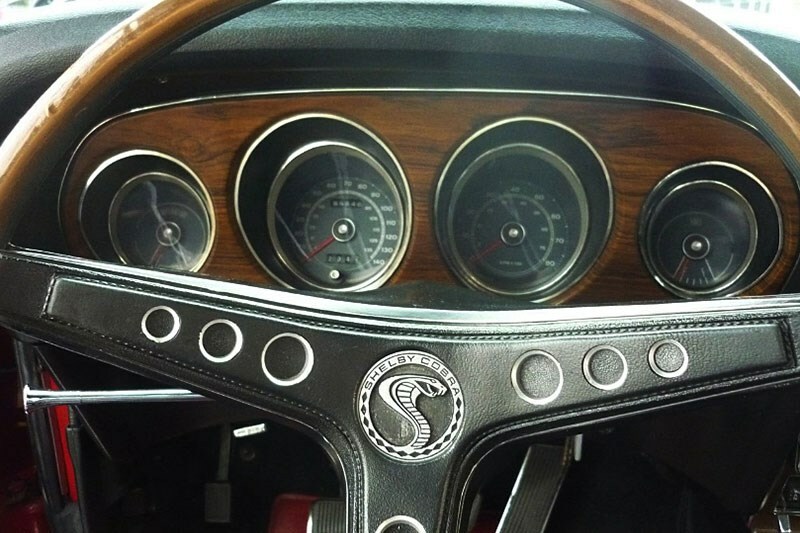 The coupe is a Shelby GT500 running the 428ci bent eight, with a very desirable four-speed manual. Perhaps just as importantly, it has all the right ID numbers and comes with a Marti report, plus much of the original delivery documentation. Now the $200k price tag is substantial, but really this is getting up there at Aussie GT-HO levels in desirability for less money. And, unlike the local product, it has a world market. In Cobra Jet form (which this is) these cars claimed 335hp stock (which is likely to be understated) and it would be easy to imagine pulling considerably more out of them with little trouble. Production numbers were tiny by American standards, so they have real exclusivity. Some 3150 are believed to have been sold in 1969. That’s all Shelby models. While these cars were bigger and heavier than the first Shelby Mustangs, they have a very real presence that’s hard to miss. Carroll Shelby in fact connected with Mustangs from early on – there’s a famous PR shot of him with a fastback in his trademark white-with-blue-stripe livery, taken in 1965. 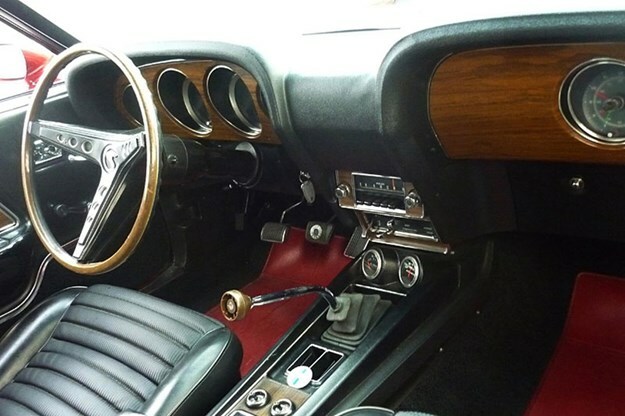 That was the year his outfit first developed a GT350, a race-ready version of the early fastback. 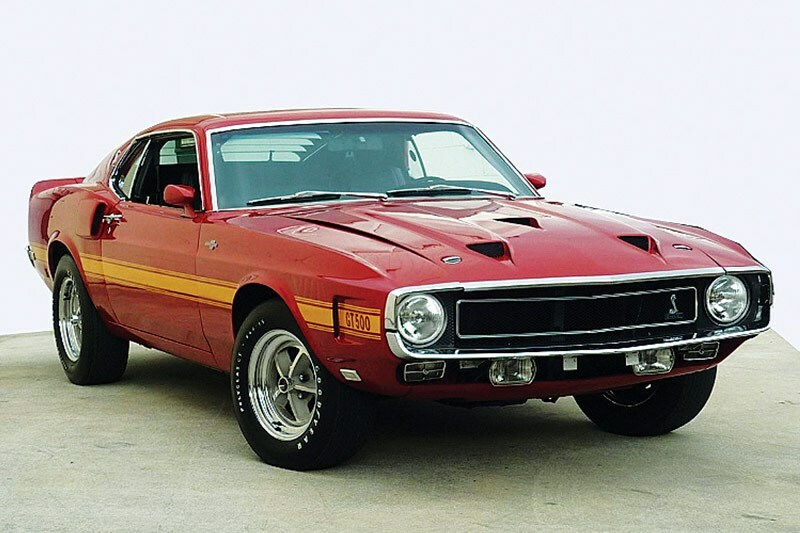 By the time this GT500 was built, it was a high-performance road rather than race car. That’s where the market was, and the name carried enormous street cred. 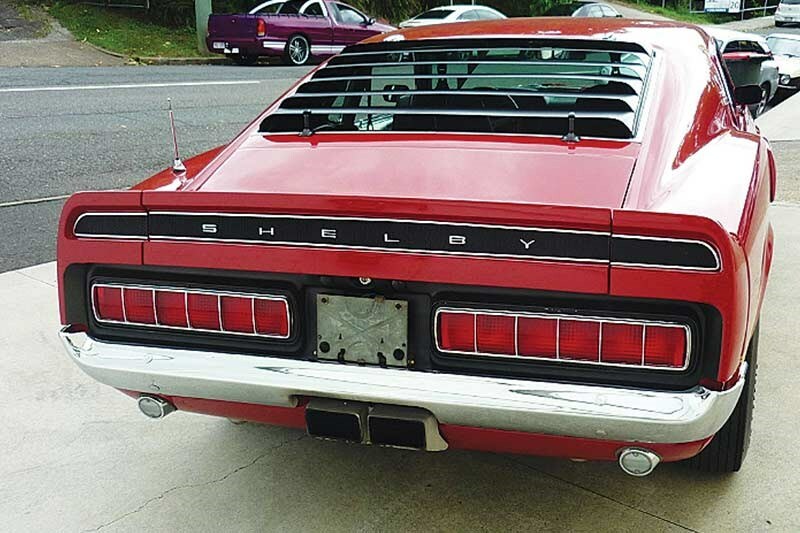 This example is believed to be running in very original spec and is located in Brisbane with John Conroy Classic Cars.